We may not all be professional designers, so when it comes to writing content, using good fonts can make all the difference. There’s a lot that’s been written on the importance of typography fonts. Using typography fonts correctly means giving the language a shape. So now you can see the connection between web design and font design. You can take a simple website and transform it into an elaborate and well-designed piece of art by using the correct fonts. Finding unique fonts is also a lot easier than you think. There are tons of free fonts available on the web for you to use and download. Using Exai Website Builder, you can upload your fonts into the CRM which will automatically let you use the new font on all your websites (learn the easiest way here). This is an important feature since it basically gives you the tools to use any range of fonts on your site easily. I did not seem to find the same functionality using other Websites CMS's like Wix or Squarespace. With both of these, it looked outright impossible to upload custom fonts to Wix and Squarespace into the editor on your own. Weebly was one exception, where you could install your font on your site. Since content can occupy the biggest part of your website, making sure that your words are readable, correctly sized and come in the right colors is really important. Making your content look attractive can even reduce bounce rates and keep readers engaged. Some of the most popular fonts include Arial, Helvetica, serif and Gothic which are very well known, then there is Roboto, Montserrat, Bebas which according to Font Squirrel also rank high. You can use fonts as a differentiator between paragraphs and between your Menu and Page Titles. You can also combine fonts to make your page stylish and attractive. To get an idea of how important the relationship between content and the typography font you use, just try taking an article out of the New York Times and changing its font. You’ll immediately notice the difference. When choosing the right font for your site, I suggest keeping it simple. Have at least two different fonts to use on your site. One for the headers/menus and another for your main text. You can try using Gotham for your headers and Sans Serif for the body text. Both are very reliable and provide good contrast with a professional look. Whichever way you look at, using fonts is an easy and direct approach to designing a good looking website, increasing visitor reach and escalating your SEO. For those of you that want a Font Management Solution head over to Exai's Website Builder. 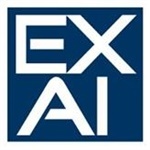 Exai allows you to upload fonts into the system and use them as you wish. The process is straightforward and puts a lot of power into your hands when it comes to designing your website. Did you know we offer 30 days trial for free? Click here to sign up for your no-obligation trial - no credit card number required!